The Korean government is ramping up efforts to request exemptions from the US administration’s Iran sanctions amid growing concerns from the local petrochemical and plant construction industries that heavily rely for their businesses on the regime. 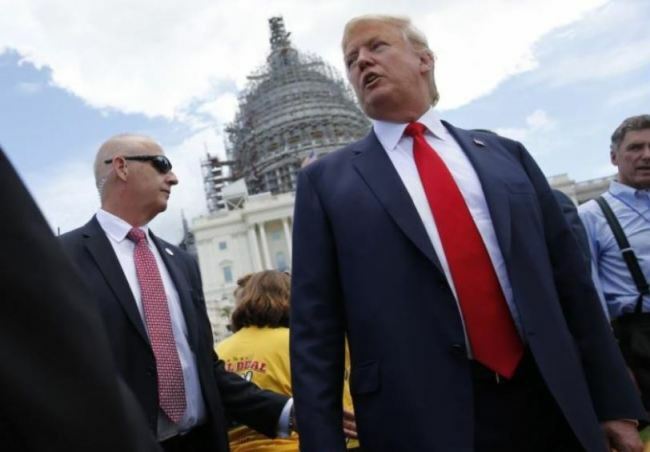 Following US President Donald Trump’s decision to reimpose sanctions on Iran in May, the first round of sanctions began in August to curb Iran’s purchase of US dollars and its trading of metals and coal. In November, the second wave of sanctions will target the country’s oil, energy, plants and financial transactions. The November sanctions are fueling fears among South Korea’s oil industry, which relies on Iran for 13 percent of its imported oil, as well as construction companies that earned the largest portion of contracts last year from the nation. Kang Sung-cheon, South Korea’s deputy trade minister, convened a meeting Thursday with officials from the finance, transportation and foreign ministries as well as industries from oil refining, shipbuilding and marine, plants and petro chemistry to discuss how to respond to the industries’ growing fear over the sanctions. “Although transactions related to oil and finance with Iran are prohibited from November, a certain amount of crude oil imports and financial transactions for trading nonsanctioned goods may be possible if the US approve the exemption,” Kang said. Korea has a precedence of exemption by being allowed to import crude oil with a 20 percent reduction from Iran in 2012 when Iran faced economic sanctions under the Obama administration. The ministry said it would seek similar exemptions and added it already had dialogue with the US side twice, in June and July in Seoul and Washington, respectively. However, if Korea is not exempted despite government efforts, the nation’s oil refining and petrochemical industries are expected to suffer. Iran is Korea’s third-largest crude oil supplier following Saudi Arabia and Kuwait. Last year, Korea imported 147 million barrels from Iran. Among them, condensate -- light crude oil -- accounted for 70 percent. Currently, five local firms, including Hyundai Oilbank, Hyundai Chemical, SK Incheon Petrochem, SK Energy and Hanwha Total Petrochemical, import condensate from Iran to use to produce naphtha, which is a key ingredient of petrochemicals. “If condensate from Iran is restricted, a rise in market price will be inevitable and (we) will lose purchasing power,” said an official from a petrochemical firm, who spoke on condition of anonymity. Apart from the petrochemical firms, local construction firms will also be hit hard because Iran is a major export destination for them. Last year, the Korean construction companies were the top earners in Iran, winning $5.2 billion worth of contracts, beating India at around $2.9 billion contracts. However, things have changed this year. With the impending sanctions on financial transactions, Daelim Industrial canceled a 2.2 trillion won ($1.95 billion) contract for refining plants in Esfahan, Iran in June due to difficulties of financial procurement. Additional damages may follow. The joint contracts earned by Hyundai Engineering and Construction for 3.8 trillion won in construction of a gas field in South Pars and SK Construction’s 1.7 trillion-won contract to modernize oil refinery plants have been delayed for similar financial reasons. “(The sanctions) mean to us that we lose a large market. Without the sanctions lifted, it will be difficult to advance into Iran,” said an anonymous insider.